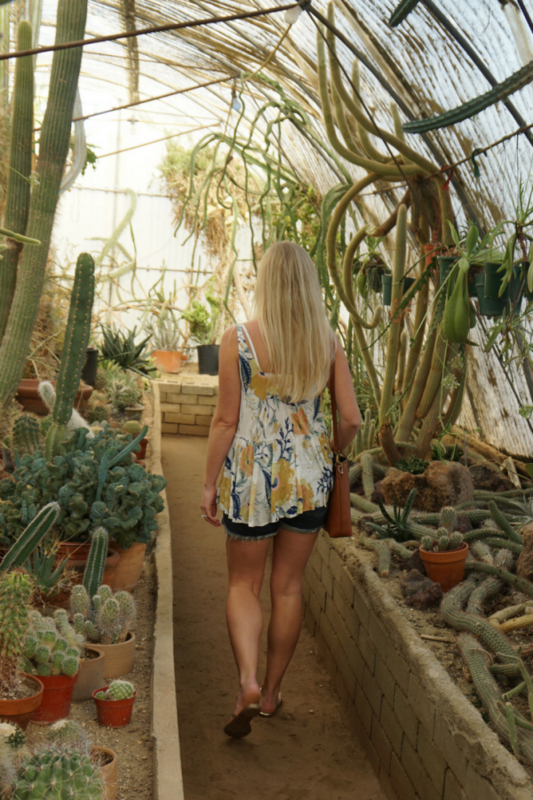 A few weeks ago, I was out in Palm Springs celebrating my mom’s birthday. We had a great long weekend exploring – hiking, eating and relaxing – away from the cold New England weather. 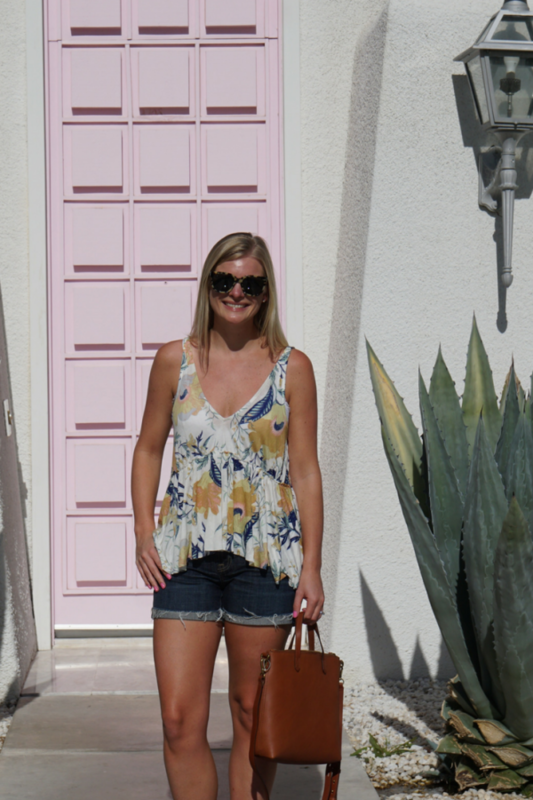 More to come on my Palm Springs recommendations in an upcoming travel post, but in the meantime, I wanted to share an outfit I wore while I was there – mainly because I love the tank top and it’s on sale for $9.99 and available in all sizes. We got a taste of warm weather for two days last week and I cannot wait for spring to finally be here to stay! This floral tank top is nice and lightweight and perfect for either wearing on its own with shorts or jeans or using as a layer underneath something like a jean or leather jacket. I love how flowy it is because it’s a loose-fitting top while still being flattering. I also picked up these sunglasses and cross body bag before the trip and they’ll both be staples in my spring wardrobe (& beyond! ).